Trade Union leader and administrator. He worked as a half-timer in a cotton mill before becoming a Parcels Clerk clerk with the Lancashire and Yorkshire Railway Co in Bolton. In 1924 he was appointed Head of the Finance Depaetment of the LMS Railway Co Ltd in Manchester. 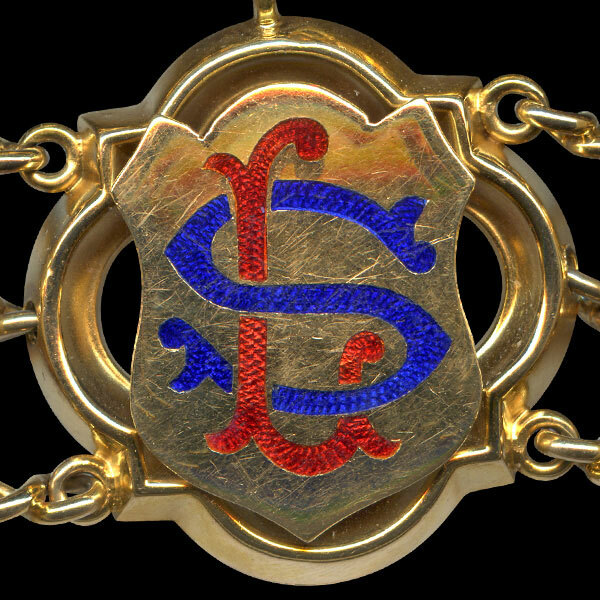 In 1912 he became a founder member of the Railway Clerks Association and was Chairman twice. He served on the Board of the Bolton Cooperative Society and was also a member of the Christian Socialist Movement. He represented East Ward 1915-19 and 1925-28. Alderman for East Ward 1928. 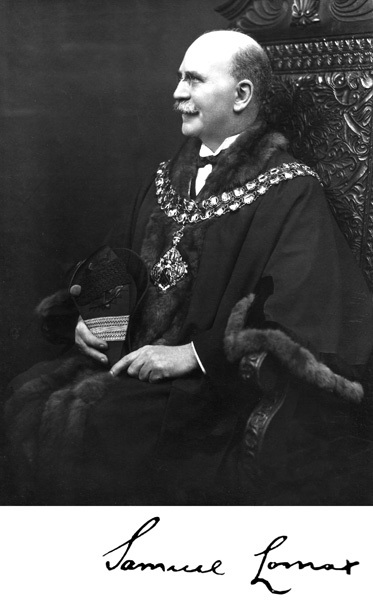 Re-entered the Council in 1940, representing Bradford Ward. He unsuccessfully stood as the Labour candidate for Bolton in the 1922 General Election. He was briefly expelled from the Labour Party in December 1935 after allegedly refusing to accept Party discipline on a procedural matter but was readmitted a few weeks later. He was a TUC Auditor 1923-1926, Chairman of the Bolton Independent Labour Party and twice President of Bolton Labour Party. Member of the north west area Workers Educational Association Committee and on the Board of Management of Bolton Co-operative Society. Methodist - he was a preacher at Higher Bridge Street Methodist Church and Sunday School and a lay preacher at Delph Hill Methodist Church. His wife, Hannah, was Mayoress. 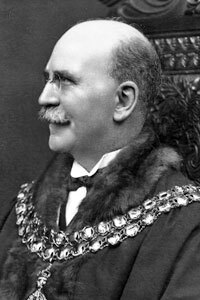 Formal portrait of Samuel Lomax as Mayor of Bolton. 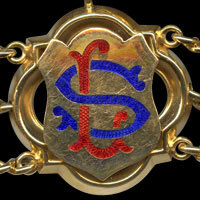 Samuel Lomax's link on the Mayor of Bolton's Chain of Office.